Oh, how we love the taste of a crack chicken recipe. We’re a busy family and easy crockpot dinners are my jam. There are days where the thought of dinner has not crossed my mind before noon, but I think to myself, for sure I can’t do grilled cheese … again. So, I whipped up this Instant Pot Crack Chicken recipe and it was divine! For starters, I should mention that although the name crack chicken doesn’t sound the most appealing when talking about food, if you can imagine, the name comes from the idea that it is indeed addicting. In a fun way that you just can’t stop eating the food, and that (bonus!) 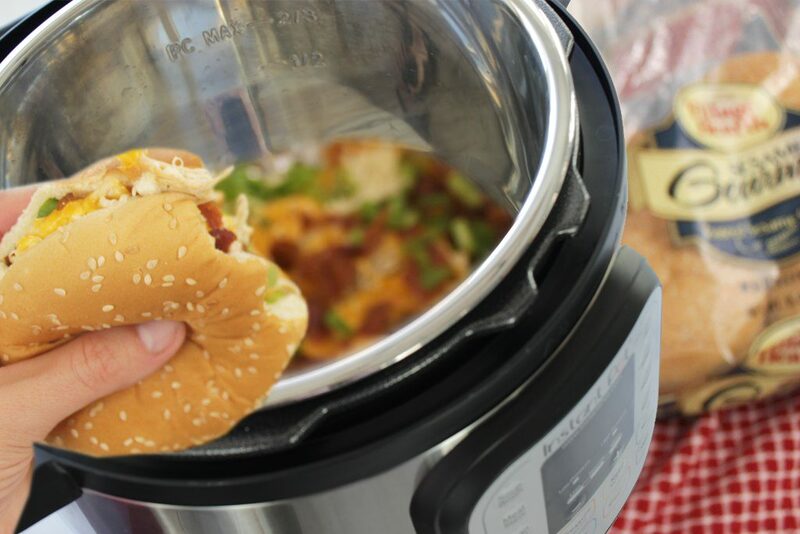 everyone loves this easy crockpot dinner idea. And, the number one reason that crack chicken has risen to the top as a favorite of mine? It’s crazy easy. 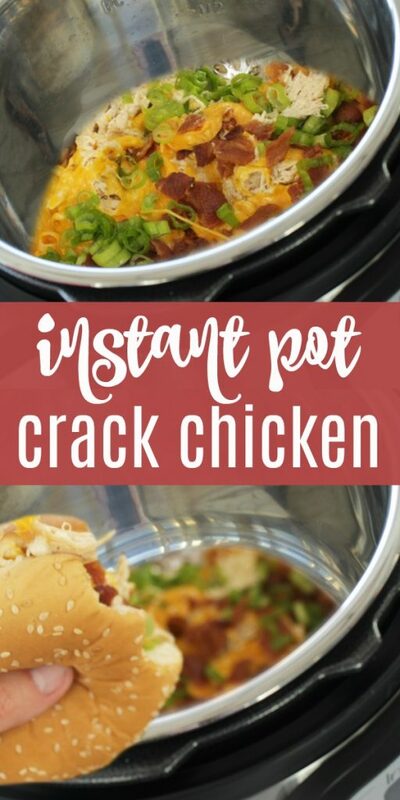 The partner of this Instant Pot Crack Chicken Recipe is the Crockpot Crack Chicken Pasta and you’ll also see the same familiar ingredients in this Crack Chicken Sandwich Recipe. Once baseball season rolls around and the nights are crazy and days are long any of these become a go to crockpot dinner in my book. And, one the Instant Pot landed on the scene, I knew that this handy time saving kitchen tool would become the savior of dinnertime. After some serious soul searching, I committed, getting my first Instant Pot. And, so now that this fancy beast has dawned itself in my kitchen, I knew I needed to start making crockpot recipes into Instant Pot recipes. So, I set out to make an Instant Pot Crack Chicken Recipe that would rival its partners. 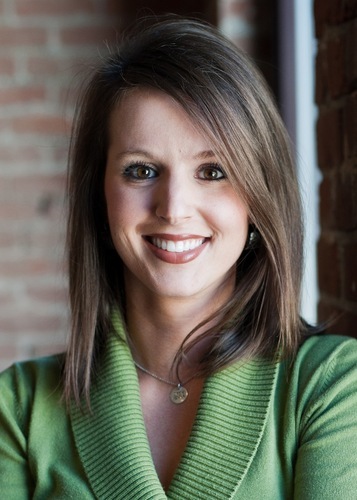 And, can I say it was a slam dunk? Sure was! The thing that’s nice about Instant Pot dinners is that they are made in such a smaller amount of time than Crock Pot dinners. 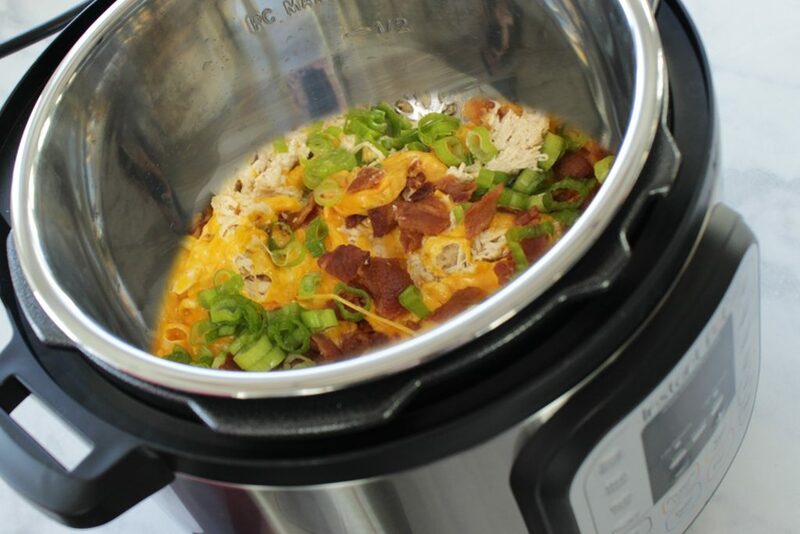 While Crock Pot recipes might take 4-6 hours, an Instant Pot recipe takes about 20 minutes to come to pressure, 15 minutes to cook and about 5-20 minutes to let out the pressure, making a Crock Pot recipe seem like it takes ages to cook, compared to the handy work of the Instant Pot. But, let’s face it. When dinner can be made in a matter of minutes vs. hours, we’re willing to do what it takes, am I right? Check out the Instant Pots here (they’re on Sale!) I love the 6-Qt. 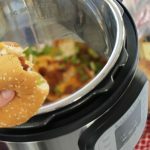 Instant Pot 7 in 1 and have found that it’s the perfect size for my family of four and offers leftovers most of the time as well. Enough of the chitter chatter, and on to this awesome crack chicken dinner recipe! Need an easy Instant Pot recipe? This Instant Pot Crack Chicken is for you! Crack Chicken ingredients include all of your favorites - bacon, chicken, cream cheese. You can't go wrong. This easy dinner is a win in my book! Turn Instant Pot to sauté mode on high - Once it says 'Hot', add diced bacon and cook until done. Drain the bacon grease from the Instant Pot. Place chicken breasts and cream cheese in the instant pot. Pour chicken broth over the chicken and cream cheese mixture. Sprinkle with ranch powder mix. Close the lid and make sure the lid is sealed. Cook on manual setting on high pressure for 15 minutes. Once the Instant Pot is done on high pressure, use natural pressure release for 5 minutes and then do a quick release (careful not to get in the way of the steam). Turn the Instant Pot back to sauté mode and whisk the cream cheese to thicken and cream. Add the chicken back in the Instant Pot along with the mayonnaise. Stir the chicken, cheese and mayo until it is all combined and then top with the shredded cheese, reserved bacon and green onions. Serve on the best buns you can find and ENJOY!